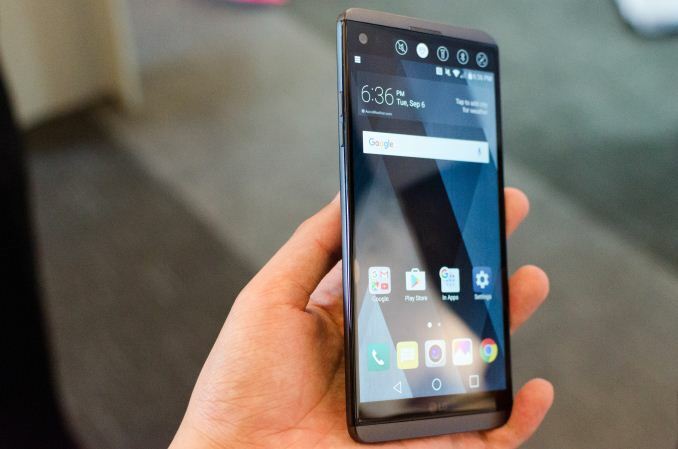 The LG V20 at this point has been leaked to death, but it’s finally here. 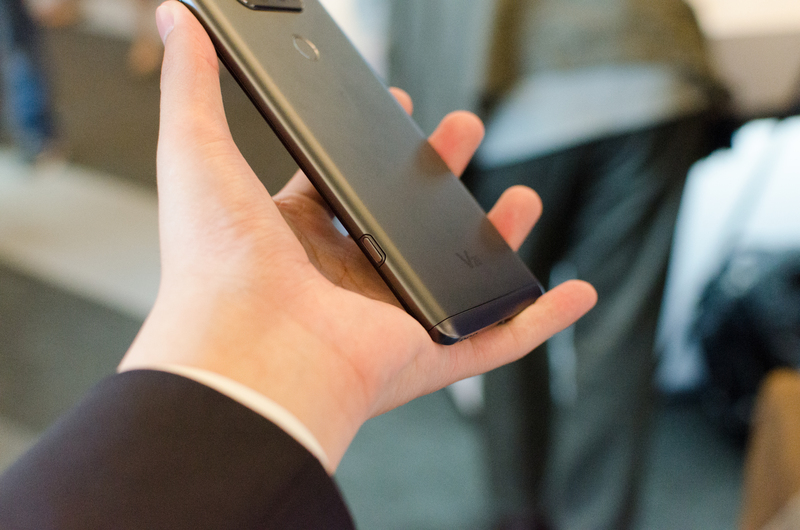 LG has been pushing through a fairly tough year, so this phone really could not have arrived at a better time with the Note7’s battery fires and recalls as the obvious alternative to the Note7. 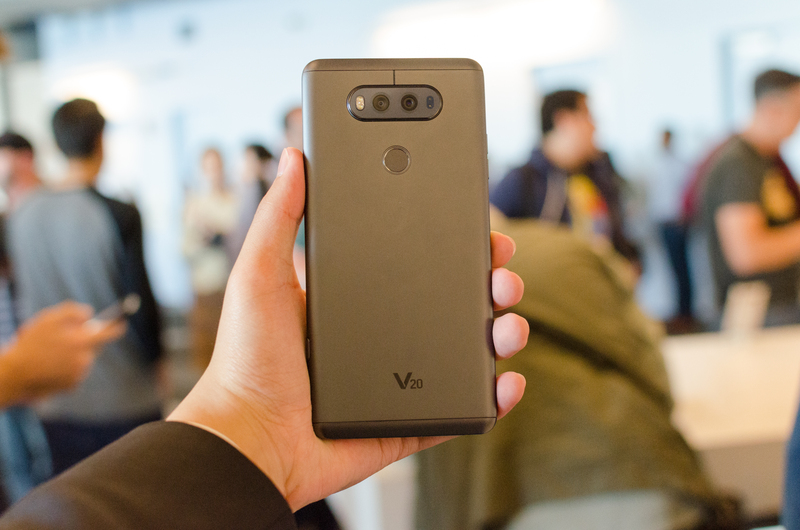 To try and start our discussion of the LG V20 we can first take a look at the specs before we jump into the other major areas of note. 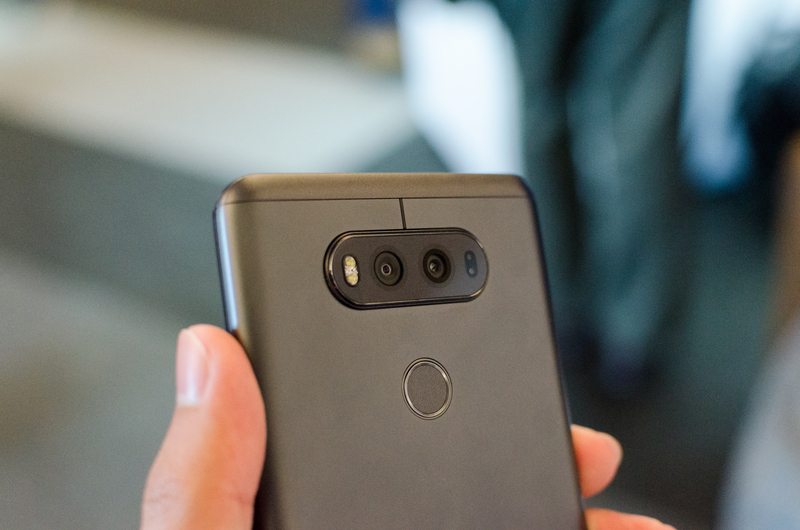 At a high level, the LG V20 honestly doesn’t look all that different from the LG G5 in a lot of ways. It shares the same SoC, the same rear camera, and retains the rear-mounted fingerprint scanner that also doubles as a power button. 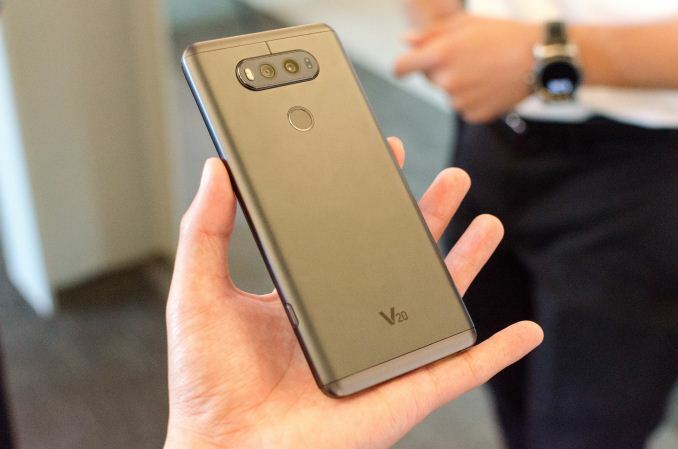 However, there is a bump in battery size and display size, and things like the new front-facing camera and secondary display help to differentiate it from the LG G5. However, the single biggest change here is design. 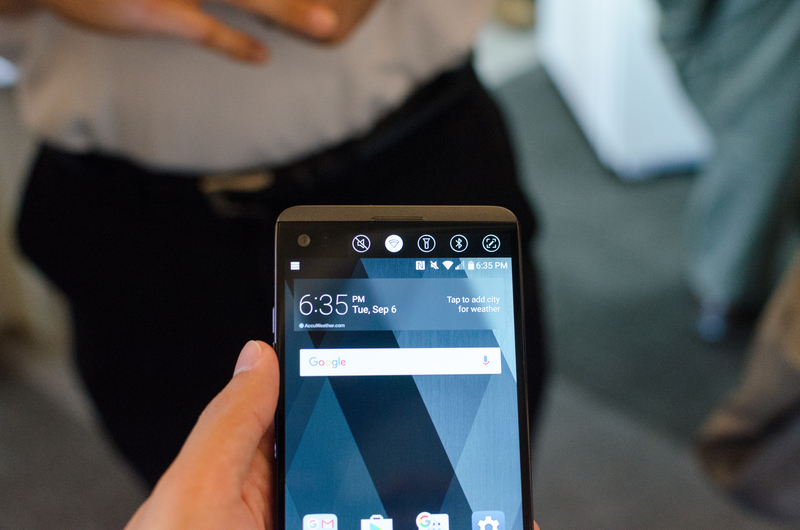 While the LG V10 had a plastic back cover and a glossy stainless steel frame, the LG V20 adopts a fairly elegant aluminum design. The phone has a metal frame to give it strength, which holds the major components and provides the screw holes for the plastic cover that helps to protect the internal components. Over this plastic cover, LG adds the aluminum back cover. This aluminum back cover appears to house the NFC antenna but not much else other than a whole host of grounding points. All other antennas are probably in the top and bottom RF windows for this device. Judging by the writing that says BYD on this back cover, it wouldn’t be a surprise to know that BYD Electronic is making these back covers for LG. Overall, I think this phone feels like a massive step ahead the G5 when it comes to in-hand feel and overall design. LG is quite possibly the only OEM that has ever properly integrated a removable battery and an aluminum back cover at this point, and while this is a pre-production unit my subjective opinion here is that this is actually a fairly handsome design. The earpiece has this fine detail to it and it’s pushed up right along the edge of the glass. Even the LG logo is subdued, and is color matched fairly well to the plastic that flanks the display. On the back of the phone, everything is aligned fairly well. This isn’t a huge deal as far as actual purchase recommendations go, but it’s worth mentioning because it looks like LG cares about ID even if they don’t market it aggressively. Moving past design, things like the combined power and fingerprint scanner have gotten noticeably better moving from the G5 to the V20. The button no longer has a significant amount of slack or play that I saw in many G5s, and the button clicks much more solidly now. 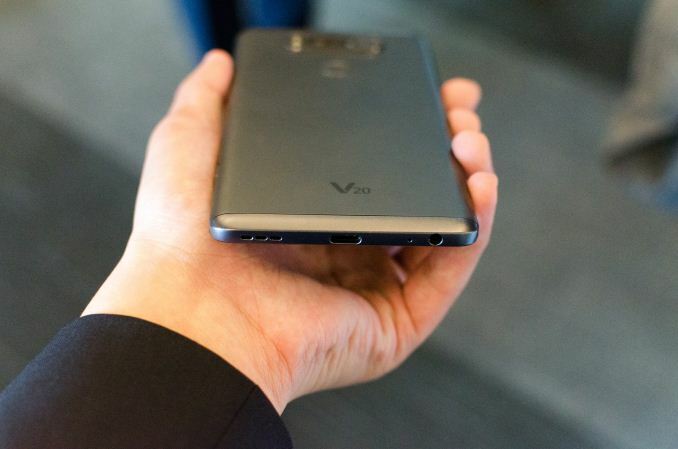 The volume buttons also feel great, but they appear to be placed only to work well if you hold the phone in your left hand as holding the phone in your right hand doesn’t really leave any viable method of comfortably and safely manipulating the buttons. This isn’t a huge issue if you mostly set and forget volume settings though. Booting up the display of the LG V20 reveals no significant issues with backlight bleed, but right off the bat it’s obvious that the display is on the cold side. It’s hard to say whether this display is still making the mistake of a gamut wider than sRGB when Android doesn’t support color management, but for now I’m not going to make any snap judgments even though LG is a bit notorious for not getting color calibration right. Playing with the camera right away it’s obvious that LG has dramatically improved their camera UI for the V series relative to the G series, which makes me wonder why the G5 shipped with such a seemingly gimped camera application. The manual camera is not necessarily anything special, but manual video settings for bitrate, audio recording, and a number of image controls is really great to see and something that I haven’t seen on any other devices out there. Audio even has low cut filters for things like concerts where bass is often overwhelming for reasons beyond me. There’s extra video stabilization, but in a hands-on context it’s difficult to test these things properly. LG is also emphasizing audio quality, with the ESS quad DAC that has a 132 dB SNR and 124 dB of dynamic range that should make it extremely difficult to notice things like hiss when the DAC is on. Voltage output is said to be double that of anything else out on the market at time of release as well which is nice to see. This is contrasted with the LG G5, which shipped with a somewhat disappointing DAC out of the box and needed the B&O module to really get good audio quality. Seeing as how a major device launch meant the loss of the 3.5mm jack altogether it’s worth mentioning that this device does have a 3.5mm jack on the bottom right of the phone. The final thing worth mentioning given that I’ve had some time with the preproduction unit at home is that LG is now using SK Hynix’s UFS 2.1 solution, which is supposed to allow for better security between SoC and UFS device. This is also using 3D-V2 NAND which might be the first shipping implementation of 3D NAND I’ve ever seen in a smartphone. 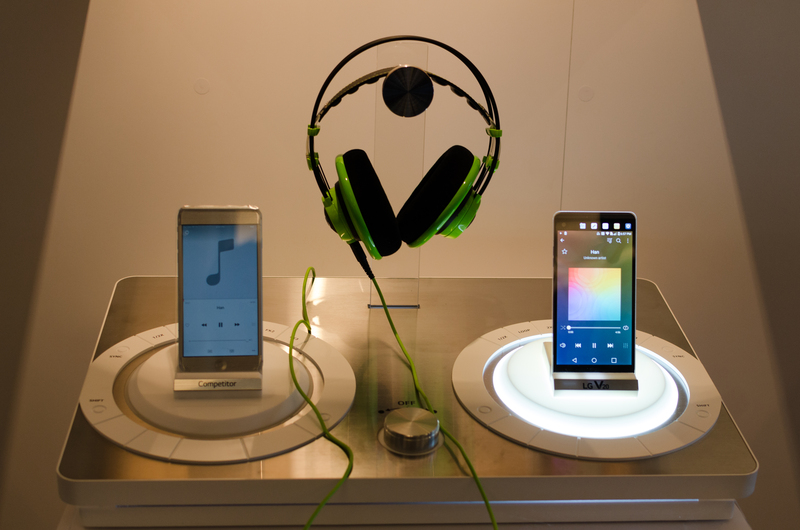 This actually leapfrogs Samsung which is impressive to say the least. Overall, the LG V20 is a fairly interesting phone but I get the sense that it might be overlooked in the sea of other launches to come. LG UX 5.0+ is a decent redesign at first glance but may need some extra work, but the phone itself is actually fairly good at first glance. 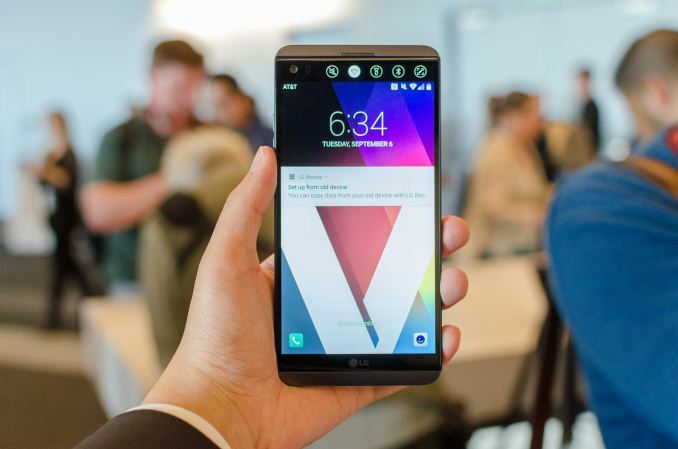 The LG V20 will be available through Verizon, Sprint, AT&T, and T-Mobile US in Titan and Silver. "LG is quite possibly the only OEM that has ever properly integrated a removable battery and an aluminum back cover at this point"
Indeed, I was thinking of the Desire S when I read that comment and I really don't get why that bottom opening design isn't viable today. Mine ended up embedded in a wall through no fault of its own but it wasn't a bad phone.